for a cup of java on us, so we can connect with you in person. 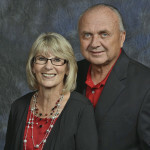 Senior Pastor Jim & Pat Turner have been senior pastors at Marysville Assembly of God since 1995. While creating an atmosphere of love and family, they welcome the presence of God. They believe that in this positive environment people experience the love of Jesus and the power and peace of the Holy Spirit. 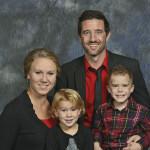 Youth Pastor Ben & Becky Colmer came on board in February 2015. They have been serving with the Assemblies of God since 2006. They have been involved in kids ministry, young adult ministry, worship ministry as well as teaching adult Sunday school and preaching. They believe in challenging and maturing our youth, while experiencing the vibrant life that is found in Jesus. Also that their role is to equip kids and youth for the Kingdom of God. 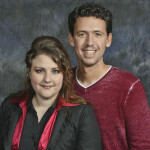 Worship Leaders Brian and Sarah Adams have been with us since November 2012. They have both been serving in worship ministry for approximately 15 years and have had the opportunity of leading God’s people into worship for 8 of those years. Brian and Sarah have a deep desire to create an intimate atmosphere of worship, allowing the Holy Spirit to move in the fullness of His Presence!